In animistic Shinto-ism everything has a spirit. I need to pick up a set of these amazing devices. Its Chewie! Its Blue! 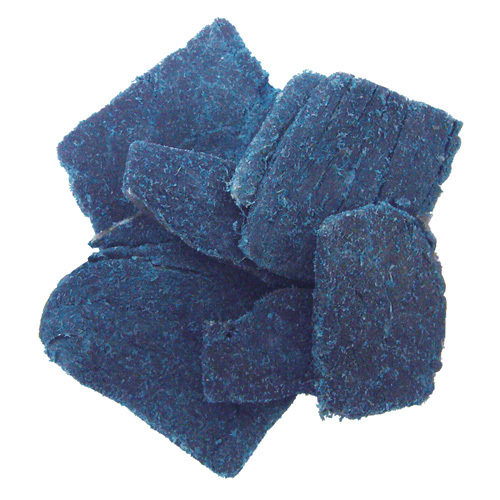 They say its made from the same good stuff that regular jerky is made from…. but my guess is that its smoke-dried BRAAAAAINS! 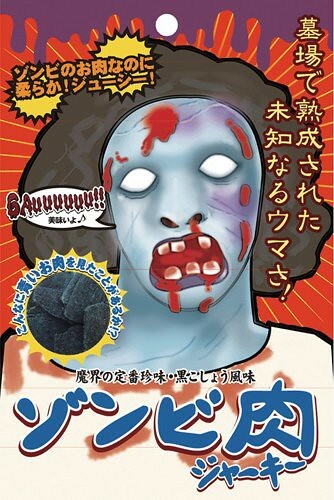 Do you dare to eat the ZOMBIE Jerky?? 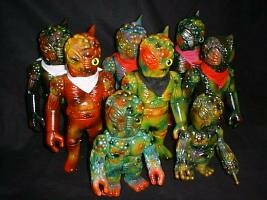 Ichiban-boshi Chaos Custom Series 1, originally uploaded by datadub. So Ichiban-boshi is trying their hand at the airbrush. The results look pretty good. These customs were for sale of the Ichiban-boshi online shop last Sunday. They were priced at regular Japanese retail for these figures which I thought was pretty classy. Hopefully we will see more customs in the coming months. Toxic Resin Art Show At Super 7., originally uploaded by LAMOURSupreme. This figure has been dubbed “Baby Huey” by Mr. LS – it was designed by LS, sculpted and cast by Kaz of Itokin Park. This version was painted up by L’amour Supreme for the Toxic Resin art show happening at Super 7.
on sale now at rotofugi! Its Obon – the summer time holiday – here in Japan – when thoughts turn to traditional ghosts, goblins and ghouls. So its the perfect time of year for and Exhibition of Mizugi Shigeru – the godfather of the Japanese underworld. This one starting today at the Matsuya Department store in Ginza looks like fun. 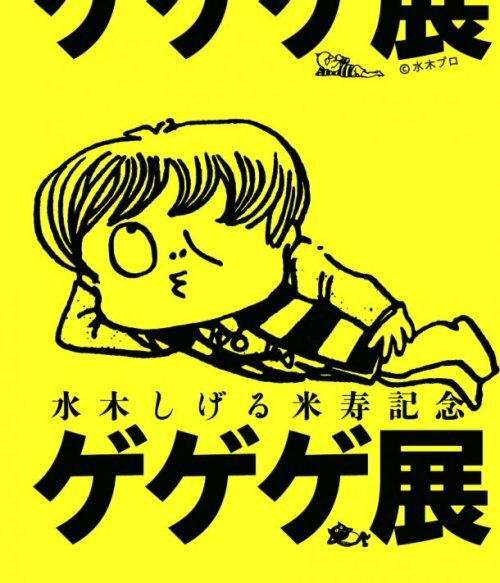 I like how they will highlight some of his other characters beyond Gegege Kitaro including Akuma-kun and Kappa no Sanpei. Show Runs from 08/11 (W) – 08/23 (M). Mirock Toy has launched its official web site including a blog and an online shop. 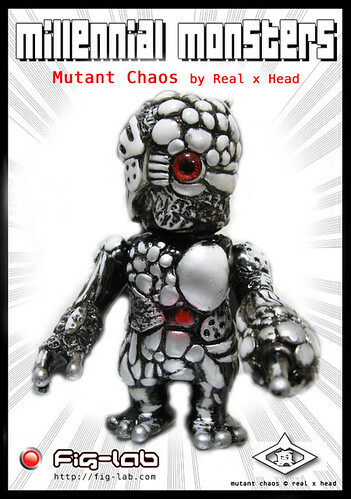 Mirock (pronounced Mee-Roh-Koo) leapt onto the the toy stage with a collaboration with Real x Head which debuted at San Diego Comic-con 2010. Sculpting in wood his wildly re-imagined sculpts of Real x Head’s core Mutant Zone characters – Head, Evil and Chaos were a big hit at SDCC. 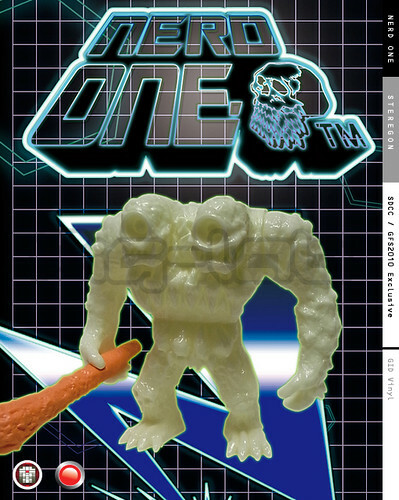 The web store contains several online exclusives, including all black unpainted versions of the RxH collaboration figures and a very traditionally painted chaos. There are also resin minis of Mirock, the brand mascot. (seen above). This guy will be one to watch for sure. The web store currently doesn’t ship internationally. However here is a decent dose if you’re desperate. ToysREvil interviews Kirkland of ToybotStudios about SDCC2010. More Crossover madness forcasted to spew from the gaping wormhole at Booth #4937. RxH’s neo-standard Chaosman get the MonstreHero treatment inside and out. Oh and a fortune kitty gets it as well. Sean and Cliff should be rift-side on Preview night. There mirrorworld Gangledoppers Clean and Siff of KaijuHero will be doing a full spread at 3pm on friday and may phase in at 1pm on saturday for a battle with Paul.Monstre. Its going to be wild – but we have already warned you about that haven’t we. 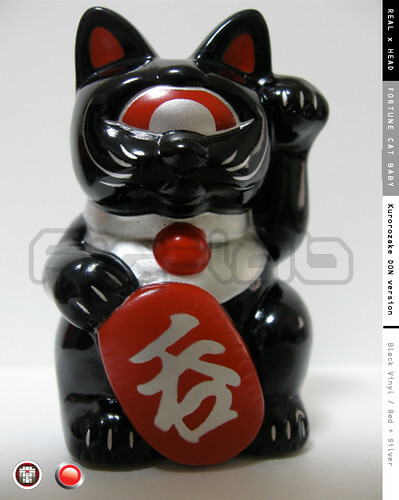 Fortune Cat Baby – Kurozake "DON"
Fortune Cat Baby – Kurozake “DON”, originally uploaded by datadub.